Don Folk is a master with cheese cakes and we are fortunate to be on the receiving end of his productions! 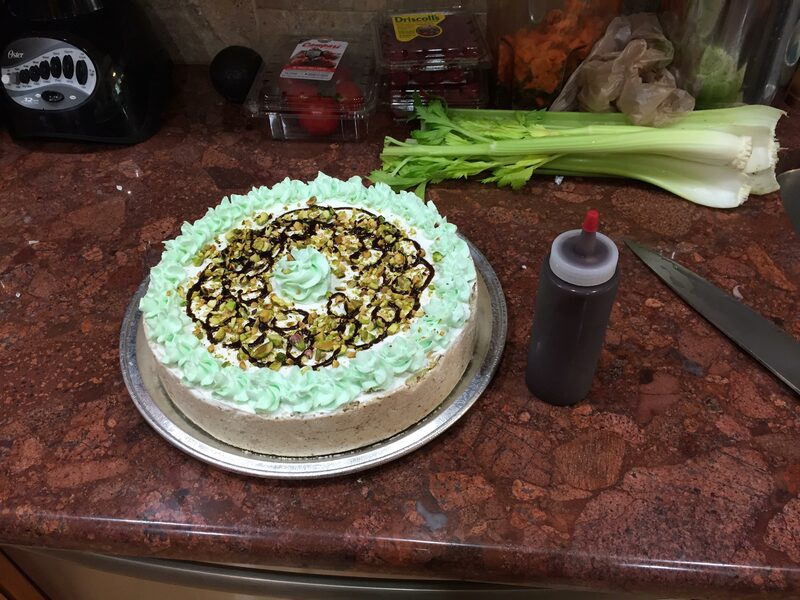 This beauty was served at the last workshop, Pistachio cheese cake with pistachios on top, served with a chocolate sauce, amazing! It was wonderful, so come do a workshop and maybe you will get a piece of a Don Folk cheese cake!